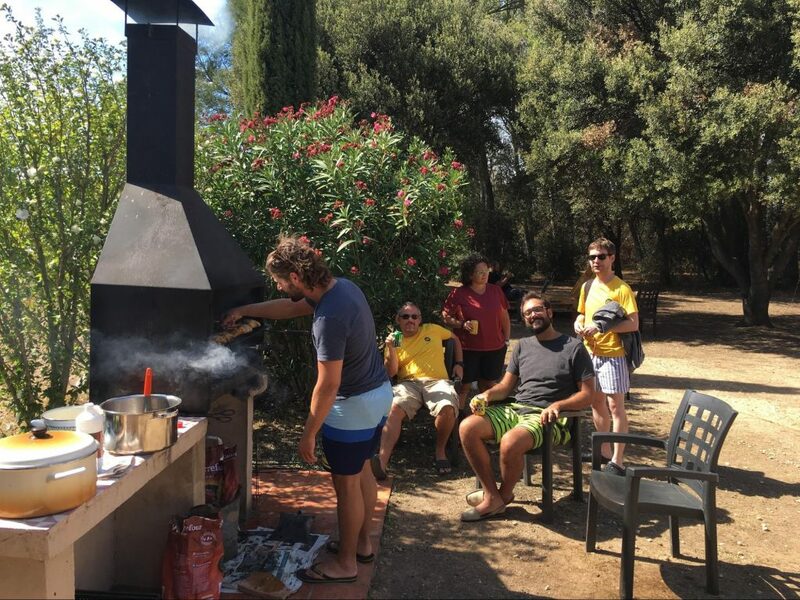 For a long weekend in September, the Mobile Jazz Team celebrated it’s annual Summer Camp in Sant Tomàs de Fluvià (Girona). It provided a great opportunity for all our remote employees to meet up with the team in Barcelona. And together, we shared a fantastic weekend on the Costa Brava. Last year, our Summer Camp took us to the Spanish Pyrenees for a mountain adventure. 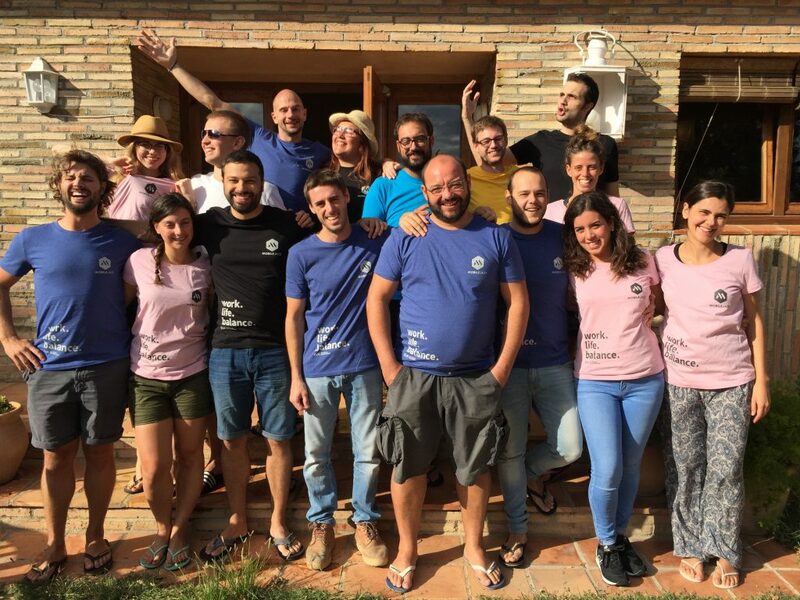 So this year, we organized a trip to the beach, and what better place than the Costa Brava? Remote members of the team flew into Barcelona, so we needed to organize transport to get 25 people to Vinya del Bosc. We had and hired a combination of cars, vans and bikes for the drive, which took us just under two hours. We arrived at Vinya del Bosc on a Friday evening and immediately needed rations to feed the troops! Previously, we had divided everyone up into cooking teams: each had planned a meal to cook during the retreat and had listed the ingredients required. 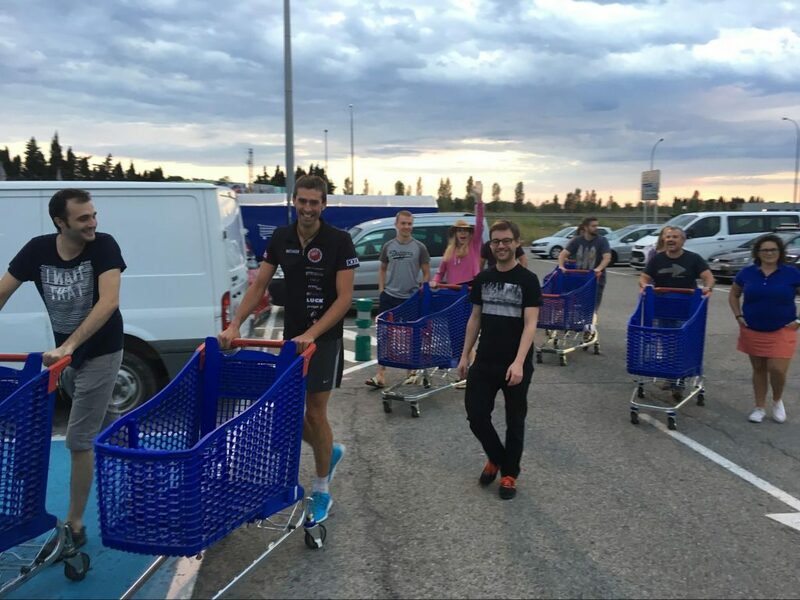 When we arrived at the supermarket, we divided everyone up again into groups and like a tv show, we frantically ran around the supermarket, piling our carts up. 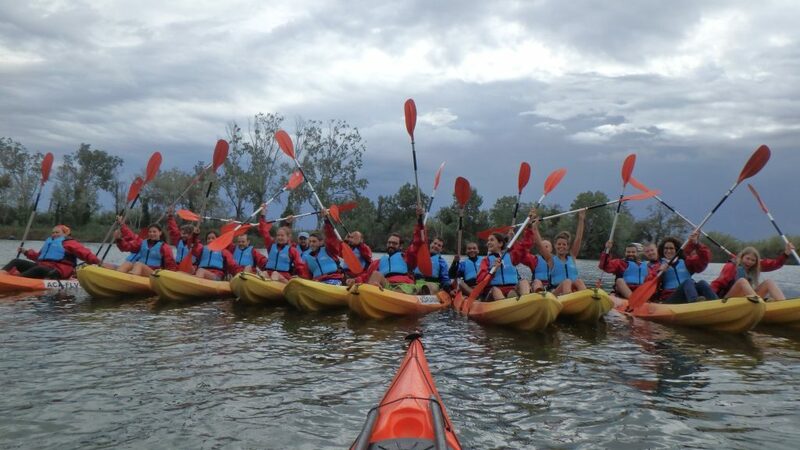 On our retreats, we like to organize fun activities for everyone to enjoy. 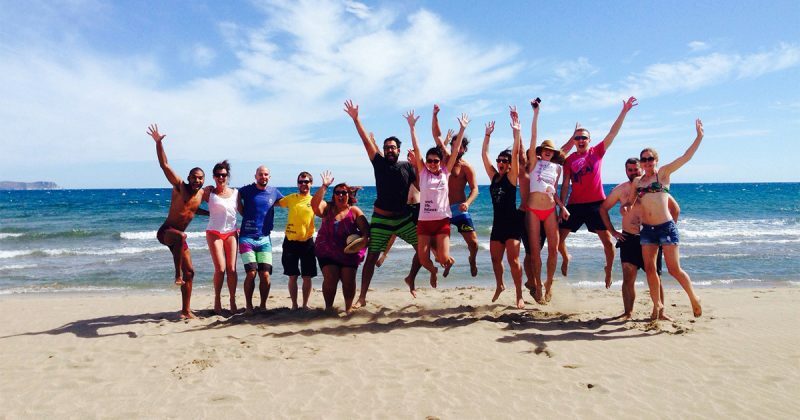 This time, we proposed wine tasting, kayaking, hiking, snorkeling, windsurfing and more. We rose early on Saturday morning and after breakfast went kayaking on the El Fluvià river, right down to the sea. 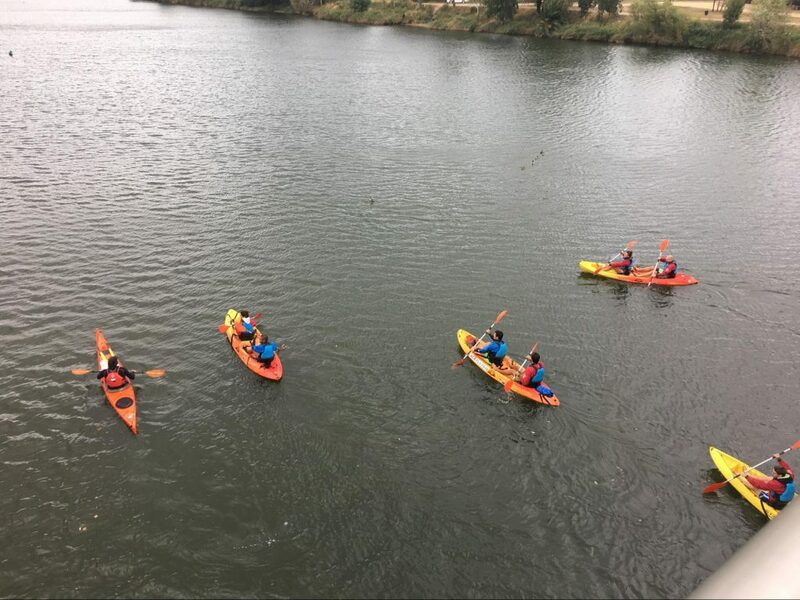 Kayaking is hard work, and although the weather was a little against us, we had a really fun time, working together was a great team bonding activity. On Saturday afternoon and to our surprise, our designer Pablo revealed some Mobile Jazz t-shirts he had created for us all to wear. So we hit the catwalk for a fashion show! We later split off into groups for some free time. The surrounding area was beautiful, great for walking and exploring and there was lots space for games and activities. On our retreats, we always enjoy playing The Resistance together, but we had a few other games this time; Secret Hitler and the very dark, Cards Against Humanity. It was only a matter of time before our resident mixologist Aldo starting shaking cocktails. Each gathering we have, a new version of the Mobile Jazz cocktail is created, probably because we can never quite remember the previous recipe. Saturday was a fantastic day, we all had a lot of fun and appreciated hanging out together and bonding as a team, something we only get to do once or twice a year. Waking up a little less than fresh on Sunday, we ventured to the beach. The sun was strong and perfect for a swim. When we returned back to the house, a few of our teammates had prepared an incredible BBQ for the afternoon. 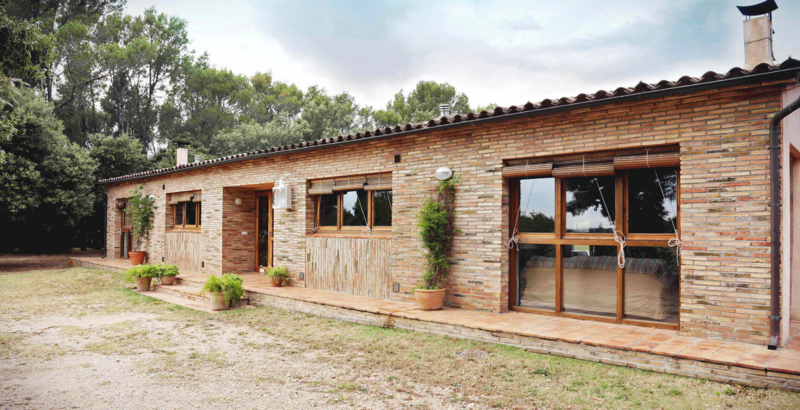 Over the BBQ, we’d already started planning our next retreat with Menorca being a favorite. 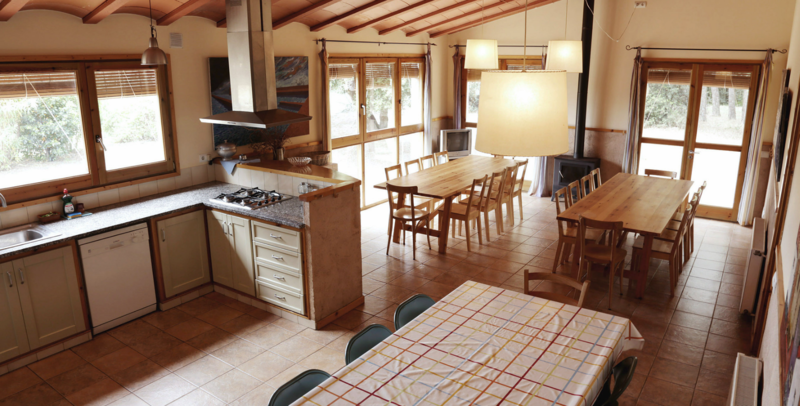 Do you organize retreats for your company or team? If you have any great tips or suggestions, we’d love to hear! Studying history and working in multiple fields, Núria has found her passion in tech, currently managing and coordinating content of multiple web and mobile projects.